At-risk children within the free and reduced lunch population will be identified by school administrators. A permission slip agreement with families participating in the project will be completed. There will be no cost to either the schools or the participating families for the food . 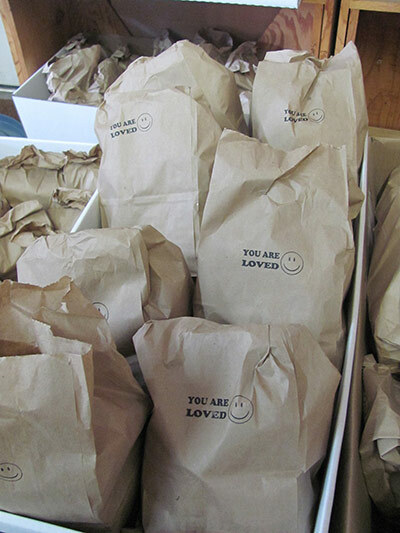 The weekend meals will be bagged by volunteers and will be delivered to the schools where the meals will be discreetly placed in their book bags by school personnel. The food bags will contain nutritious, child-friendly, self-serving foods that are selected using the Feed America guidelines and best practices. With the support of local food vendors, the cost is estimated to be between $2 – $3 per bag. $100 per student per year or $10 per month, per child.